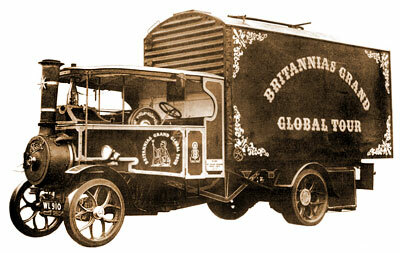 “Britannia” is a 1926 Foden C Type 6 Ton steam wagon, an early form of steam powered lorry or truck. 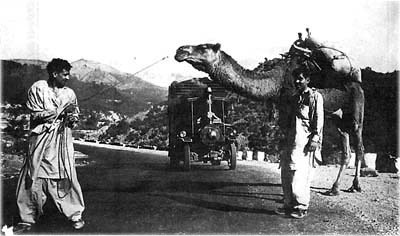 Brtiannia is famous for her “Grand Global Tour” of 1968 to 1972, when which she became the first steam powered road vehicle to circumnavigate the globe. 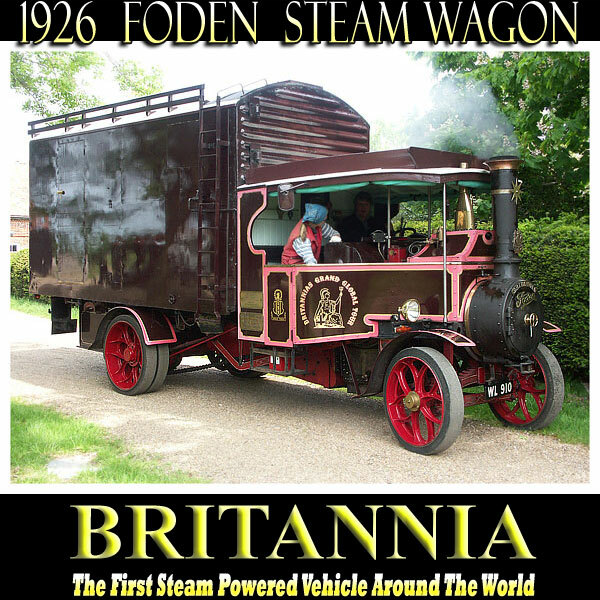 Still the only steam vehicle to have achieved this, in her time Britannia has travelled in places as diverse as Afganistan, Australia, India and the United States, and she has seen the likes of everybody from Presidents to pop stars travelling in her cab. Britannia was the start of Michael List Brain’s huge collection of steam engines and, now part of the steam museum, she can be seen during our open days and other events. 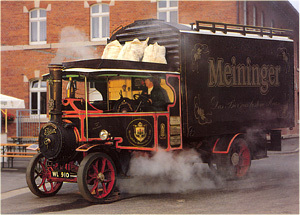 The name Fodens of Sandbach goes right back to the earliest days of steam engines and their first use in road haulage. 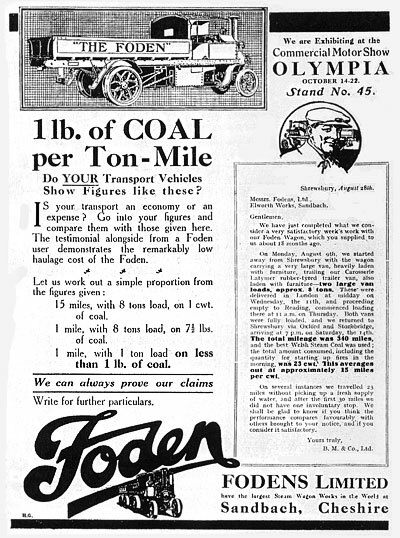 A young Edwin Foden first began designing and manufacturing in 1856, producing a range of agricultural and industrial machinery including stationary steam engines, later moving into agricultural and road engines, and building his first steam driven wagon in 1901. Aimed at both commercial and military use, Fodens designed very successful steam wagons, competitively priced and known for their simplicity and elegance of design. 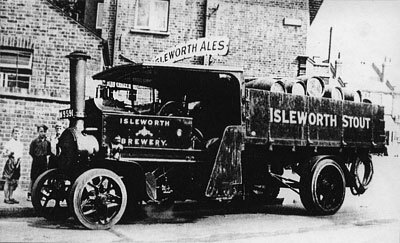 This, along with constant improvements and clever marketing made them popular with brewers and light hauliers, and Foden quickly outstripped the competition to become the most successful producers of steam wagons in the early 20th century. 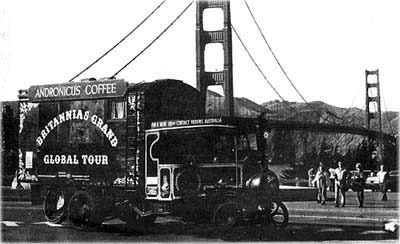 In 1969 Michael List Brain and friends restored one of these machines and embarked on a 4 year long round-the-world trip, covering many tens of thousands of miles in “Britannia” – a 6 Ton wagon built in 1926. With her solid rubber tyres and a box van on the back for sleeping accomodation this was not to be a journey not for the faint hearted! There are hundreds of interesting photographs of Britannia’s extensive travels, and many, many stories her drivers could tell – in fact far too many to fit into one book, let alone the space of this webpage! However, we shall endeavour to add as much as we can on the truly remarkable history of “Britannia”….